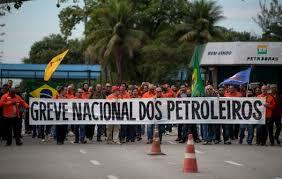 Brazil's national electricity workers' collective (CNE) has called for a 72-hour strike to protest the privatization of state-run electric company Eletrobras and its subsidiaries. The CNE, which gathers the electricity workers' confederation, federations, unions and associations, said the strike is to begin at Monday midnight (0300 GMT) and last through midnight Wednesday. Workers are demanding the ouster of Eletrobras President Wilson Ferreira Jr., who they say is the leading promoter of the privatization move. Some 24,000 workers are expected to take part in the strike. However, the CNE said it will not affect consumers by ensuring essential services. Eletrobras accounts for 32 percent of Brazil's installed energy generation capacity, mainly via hydroelectric plants. Besides, it also operates nuclear and thermonuclear plants, and solar and wind farms. The company distributes electricity in six northern and northeastern states, and handles 47 percent of the nation's electricity transmission lines. The government owns a 63-percent stake in the company.